Nielson Networks has large chunks of nationally available spectrum in the 931 MHz band for sale, with some areas having up to 500 KHz of bandwidth. Click for a current list of spectrum availability. 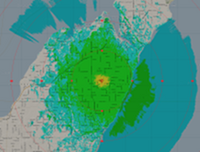 Before ordering hardware, or even cutting a piece of coax, successful radio projects begin with a propogation study, an overlay of radio performance over topographical maps, to predict radio signal coverage. Let our experienced staff map your analyze your project, looking for problem valleys, or even signal interference from other nearby transmitters. 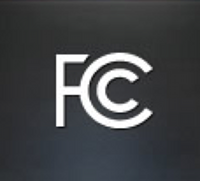 Unless your radio project operates in the unlicensed bands, your organization will require an FCC license to properly operate in the United States. FCC fines are huge if your radio network is not licensed properly, so let us look at your network, and make sure that the installation is legal, and matches FCC records.